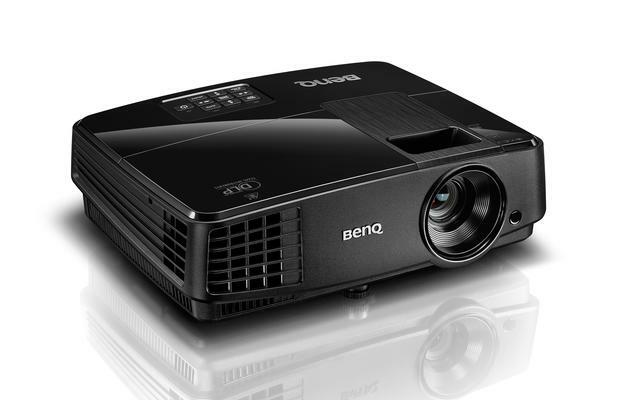 BenQ has developed with Smart technology Smart Eco - a unique solution that allows you to dynamically manage the power consumption of the projector, depending on the mode of use and the type of projected image. In the MS506 projector with SmartEco technology, the average power consumption is reduced and the lamp life is increased. SmartEco mode allows the projector to automatically adjust the lamp power and intelligently set the lamp brightness to the maximum energy saving level, while maintaining the best contrast and brightness of the image. The cost of replacing the lamp in the projector is high enough. LampSave mode ensures dynamic adjustment of lamp power, thereby prolonging its life by 50%! Also up to 50% the frequency of lamp replacement is reduced. As a result, the cost of ownership and maintenance is reduced! Automatic switching to Eco Blank mode occurs after the projector is turned on when there is no input signal from the source for three minutes. Eco Blank - a mode that does not allow you to waste electricity and extends the life of the lamp. In Standby mode, the MS506 consumes less than <0.5W of power. This will help extend the life of the lamp projector, as well as reduce the cost of electricity. The projector with built-in speakers, equipped with an audio system, so you can listen to your favorite music, even when the projector is in standby mode. In order to easily replace the lamp in the projector, the lamp compartment was placed under the top cover of the housing. If suddenly, during the lesson the lamp broke, it can be changed without interrupting the occupation. Has a built-in training template, which certainly will be a great help both for the teacher and for the students. The template includes 4 different layouts (Writing a Letter, Sheet Sheet, Worksheet, Grid) that are available in both the regular school board and whiteboard mode.